"Attempted to Pledge Fraudulent Collateral"
Finance executive Michael A. Price has paid $442,661 in restitution and penalties after he pleaded guilty last July to attempting to evade about $280,000 in state taxes on a 73-foot yacht, the Washington State Department of Revenue said. The founder and former chairman and CEO of Tacoma-based T&W Financial Corp. agreed to pay the taxes, penalties and interest owed to the state for taxes on the custom-built yacht He also was sentenced to 30 days of community service by King County Superior Court Judge Charles Mertel. In charging Price with a felony last summer, prosecutors said he claimed he paid $690,000 for the yacht, rather than the $3.2 million it actually cost. Price was charged with submitting paperwork to the Department of Licensing stating he had paid $53,820 in sales tax on the lesser amount when in fact no sales tax was ever paid. The falsified paperwork enabled Price to dodge more than $280,000 in sales and watercraft excise taxes, prosecutors charged in papers filed July 5. Price resigned in January 2000 as chairman and CEO of publicly traded T&W Financial, an equipment leasing company that subsequently went out of business. Prosecutors said Price falsified paperwork to show that he had purchased the boat from a T&W Leasing Co., which they said was fictitious. In fact, he had contracted with Tacoma and Anacortes firms to build the boat for him, according to the charges. T&W Leasing was one of the first to use securitization, went public, and was basically very successful until it moved out of the small ticket marketplace. Both Mike and Tom remained in real estate, but did leases with other partners, Leasing News was told. After the bankruptcy, only one officer was left holding the bag, it is reported, and he went to jail. In May, 2006 Paul B. Luke, CPA, 50, of Omaha, Nebraska, was sentenced to one year in prison, three years of supervised release and $1.2 million in restitution. 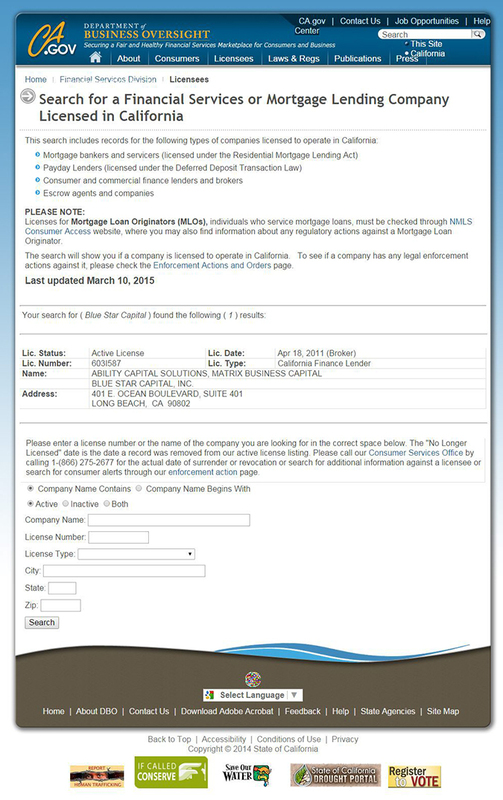 According to records in U.S. District Court in Tacoma, Luke created a fraudulent lease agreement in order to draw more than $1 million from a line of credit T&W had with Bank of America. The money was used to pay T&W's officers, a partners car leases, and it was the $1.2 million loan default with BofA that pushed the company into bankruptcy. "I cannot say very much about Mr. Acosta and his company. "I don't recall mention of fraudulent collateral. We stated early on in our dealing with Ability that we would not pledge our real property. 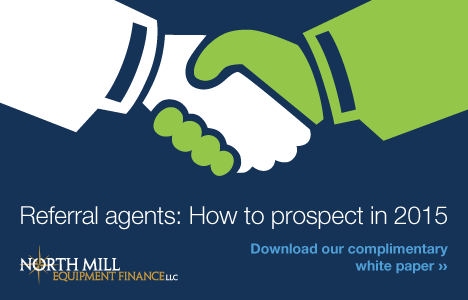 After sending in the $5,000 deposit, we seldom heard back from them. "I filed a complaint with the NAELB. Mr. Acosta filed suit against me in California for slander or defamation. The NAELB shelved the complaint because it was under 'litigation', i.e. because Mr. Acosta sued me for defamation because I filed the complaint. NAELB is hypocritical and negligent nor did it not investigate its member's conduct. It is a part of the problem. I did not want to incur further legal expenses or expend any more time on the matter nor have I spoken to an equipment leasing company since. "That is all I have to say." (Mr. Acosta is no longer a "Best Practicing Broker", nor a member of the National Association of Equipment Leasing Brokers). The complaint was brought to Leasing News on October 27, 2009, where the broker involved emailed to Leasing News: "Brian (Acosta) has not refunded a dime to customer, and has told him he will have to wait until the end of Jan. He was also told that if he insists on his $ sooner, he won’t see any of it." This complaint went on for over three months. In fact the complaint was not posted until February 10, 2010, and was well documented with 9 notes and five footnotes. (3) For over three months, there was a National Association of Equipment Leasing Broker (NAELB) complaint, many emails between NAELB legal counsel Joseph Bonanno, Esq., Brian Acosta, Leasing News, Michael Lentine, and others. The NAELB case was halted when Brian Acosta’s attorney Mark M. Scott of Buchalter Nemer filed a suit on February 9, 2010, against “EarthArtist Mountain Studio-Campus, LLC, Michael Lentine, and DOEs 1 through 20, inclusive, Defendants,” as NAELB policy is not to consider a complaint during a lawsuit. During this over three month period, there was no mention in any of the emails, any of the discussions, letters, NAELB complaint documents sent by Brian Acosta, regarding fraudulent collateral. Most importantly, in the lawsuit filed by Acosta's attorney Mark M. Scott of Buchalter Nemer, there was no mention regarding an attempt by Earth Artist Mountain Studio-Campus, LLC, or Michael Lentine, to pledge fraudulent collateral (4). The claim of fraudulent collateral never came up. "Didn't Confirm Accuracy of Allegation Published"
Benjamin Frank joins Diamond Creek Capital, LLC, Los Angeles, California, as Chief Executive Officer, in an alliance relationship with his company Austin Finance Services, Inc., where he serves as Chief Executive Officer. Previously, he was Director, Red Capital Group (March 2014–February 2015). He joined Sunwest Bank August, 2006, rising to Senior Vice President, promoted March, 2014, to EVP/Chief Lending Officer, Sunwest Bank (March 2013–March 2014); Senior Vice President, Relationship Manager, CommerceWest Bank (2005–2007); Office Clerk, Trutanich and Associates Law Office (2002–2003). Education: Chapman University, The George L. Argyros School of Business and Economics, Business Administration, Finance (2003–2005). 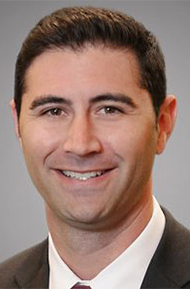 Larry J. Kamin was hired as Account Executive, North Mill Capital. He was hired by Sovereign Business Capital, September, 2005, and in January 2010, named Workout Officer, for Sovereign Santander. 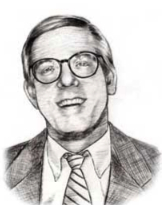 Prior, he was Vice President, Business Alliance Capital Group (January, 1999-August, 2005). Education: The City University of New York, Brooklyn College. BS, Accounting (1976 – 1980). 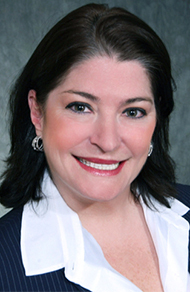 Audrey Stein has joined ATEL Securities Corporation as Director of National Accounts. In this role, Ms. Stein will assist in developing broker dealer relationships, enhance the selling group as well as contribute to sales augmentation strategies. Previously, she was Owner, DL Designs, LLC (May 2014–March 2015); Vice President of Finance, Worth Investment Group, LLC (August 2011–March 2014); National Sales Director, Frontier Asset Management, LLC (December 2008–September 2011); National Sales Manager, Provident Asset Management, LLC (February 2008–October 2008); Wholesaler Desert Capital REIT (April 2007–February, 2008); Associate Vice President, AmREIT (January 2006–April 2007).Volunteer: Board of Directors, www.mosaicservices.org (June, 2011). Education: Texas A&M University, BS, Political Science. Texas A&M University, MBA, Finance. Honors: Alumni and Social Coordinator. Texas A&M, Class VII, EMBA. Some people just don’t listen. In today’s case, an escrow company was more concerned about employee’s schedules than listening to the Bank that handled its wire transfers. The failure to listen cost the escrow company $440,000, plus the Bank’s attorney fees, a net turnaround of $600,000. The facts follow. Choice Escrow is a Springfield Missouri land and title company, handling both title policies and escrow services. Obviously, most of the funds it handles are processed through wire transfers. 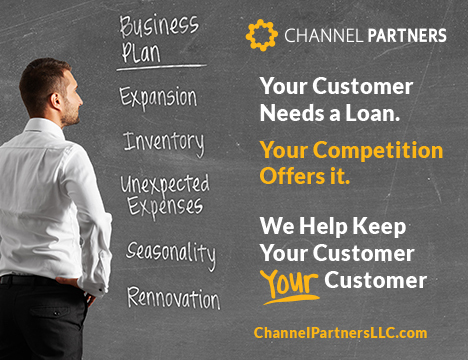 Choice Escrow banked with Mississippi based BankSouth since 2009. BancorpSouth's management testified that the Bank conducts tens of thousands of wire transfers daily on behalf of its roughly 400,000 checking account customers and that reviewing each one of these transactions would be impracticable. The Court found that the Bank was not required, under the various agreements and the facts, that a bank was required to perform a “transactional analysis” for every wire transfer. But it did. The Bank’s wire transfer agreement contained an indemnity clause which required the customer to indemnity the Bank in the event the Bank complied with the agreed upon security procedure. Although the trial court refused to enforce the indemnity, the 8th Circuit Court of Appeals did, making Choice Escrow liable for a wad of the Bank’s costs (over $92,000) and attorney fees. There is no question that these clauses provide important protections to the lessor to obtain their residual. If the lessee has no intent to renew, the lessor has in interest in knowing it before the end of the term so that he can start planning for remarketing or some other disposition of the equipment. Most of the abuses occur in the small-ticket world. 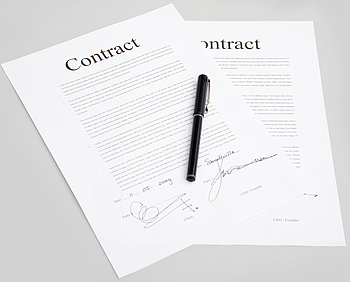 Larger lessees often overlook the notification clause in the contract or do not have “tickler” systems to remind them. Consider the corner dry-cleaner. He signs up for a five year lease in 2014. Does he mark it 90 days before the expiration in his computer calendar for 2019, or more important, did he overlook this as the residual is 10% or a $1.00. And the more apt question is: What possible interest does a lessor have in not voluntarily reminding its customer of the notice deadline – unless it’s to create a chance that the lessee will slip up and get trapped in a renewal it does not want? 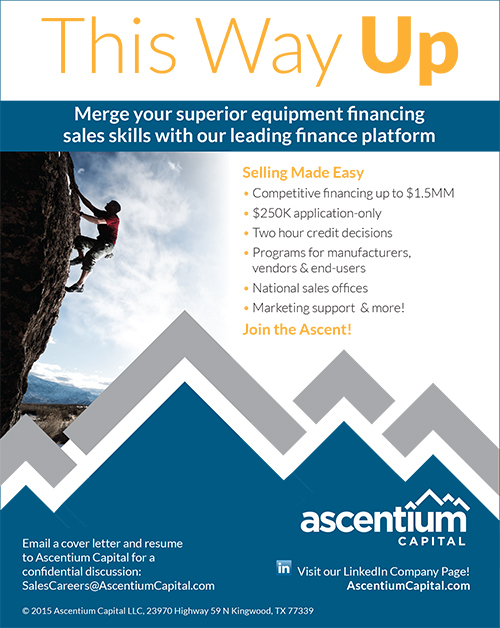 ACC Capital, Midvale, Utah---This company is no longer in business, although its portfolio is being wound down, according to its owner Loni Lowder; the receivables are being collected by creditors. 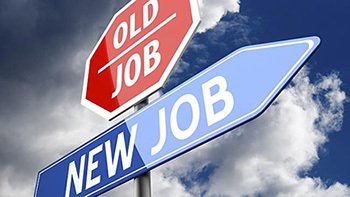 Lowder today is an employee, manager, Stalwart Contract Finance, Salt Lake City, Utah. All Evergreen Clause complaints have not been satisfied, but were when the company was active. Balboa Capital, Irvine, California---This company had its first Bulletin Board Complaint in 2006. While a new president stated this was no longer the practice, recent bulletin Board Complaints demonstrate the practice continues. De Lage Landen, Wayne, Pennsylvania -- $34,560 in lease payments were collected illegally, although the lease contract had an Evergreen clause that if the lessee did not notify in 90 days before expiration, the payments would continue. It appears this went on for almost three years. The purchase option was 10%. What makes it even more shameless is a collection agency was involved after payments stopped, but wait, it gets worse: the lessee has settled with the funder and the funder's collection agency, but the lessor, who sold the lease to the funder, De Lage Landen (DLL,) remains in the suit as being party, or “in collusion,” with the Evergreen clause collection matter. The fact is the lessor was not directly involved in the collection of payments or received any remuneration, as well as the suit continues, now solely against the lessor. Marlin Business Leasing, Mount Laurel, New Jersey---The actual SEC filings state the profit earned from Evergreen Clause, primarily from copier leases. Bulletin Board Complaints have been received about this practice in addition to the SEC financial statement filings. (9) Marlin Response to posting. H. Jared Belnap, past President & CEO, Mazuma Capital Corp., takes exception on beingon the Evergreen list. 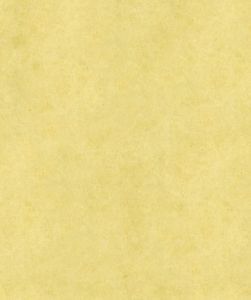 His full letter and Leasing News Response is at (5). Dorran Sampson, then Vice-President/Broker Relations, Marquette Equipment Finance, now Vice President Broker Relations Pacific Western Equipment Finance told Leasing News when the company was bought and became Pacific Western Equipment Finance (a division of Pacific Western Bank) they maintained the same position as Marquette. 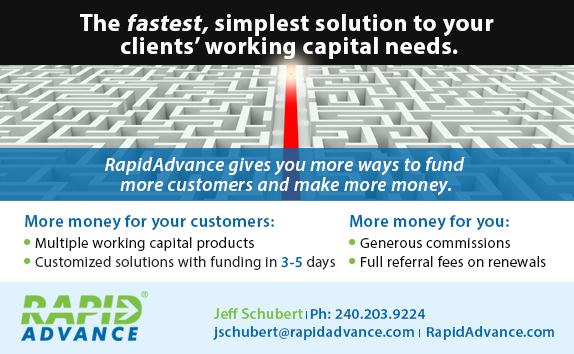 I asked him if he could send to a broker wanting to do business with him, "Sorry, can’t forward to you or your brokerage. “14. LESSEE’S OPTIONS AT END OF INITIAL PERIOD. The Women in Leasing LinkedIn Group is hosting an April luncheon at the Signature Room in Chicago, Illinois, on Tuesday, April 21st from 1:00 pm – 3:30 pm. 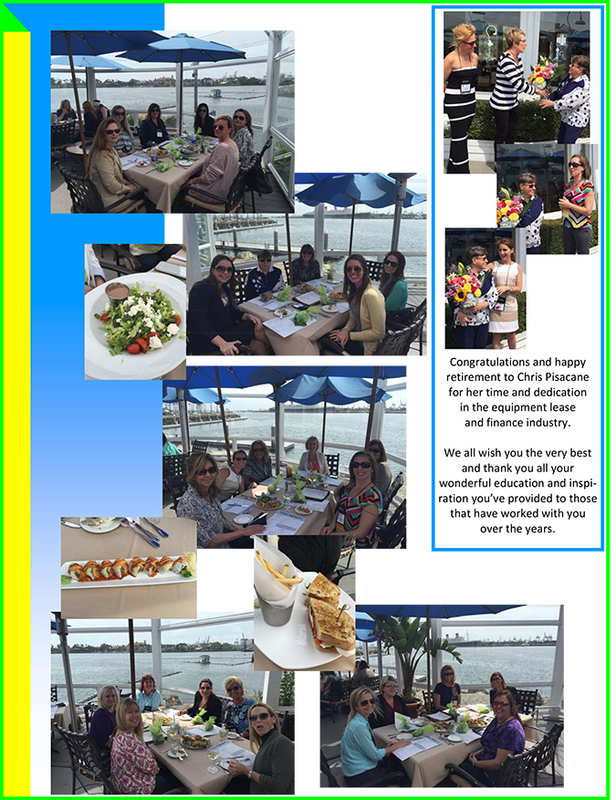 The lunch is being hosted by Shari Lipski with ECS Financial Services. If you are attending the 2015 ELFA National Funding Conference, the Signature Room is a 10 minute cab ride from the hotel and is located on the 95th floor of the John Hancock Building. This year’s NVLA Conference will take place at Talking Stick Resort, a luxurious Four-Diamond resort set in the Sonoran Desert. Scottsdale’s newest resort destination offers something for everyone, including Vegas-style gaming and entertainment, a relaxing spa treatment, world-class cuisine, and that famous Arizona sun. The 2015 NVLA Golf Outing will take place on Wednesday, April 22 at 11:30 a.m. This year’s event will be conveniently held at Talking Stick Golf Club, which is located on the grounds of Talking Stick Resort. Designed by Bill Coore and Ben Crenshaw, Talking Stick Golf Club has been recognized as a top public golf course in Arizona by Golfweek magazine. Cost of the event is $95.00 per player, which includes green fee and cart. Rental clubs are available at the club for an additional fee. If you’re interested in participating in this year’s outing, please contact Rick Damush (Miller Ford) at 609-261-6842 or via email at rdamush@millertransgroup.com. The NVLA Conference presents vehicle leasing industry partners with a unique opportunity to make and solidify relationships with independent lessors. 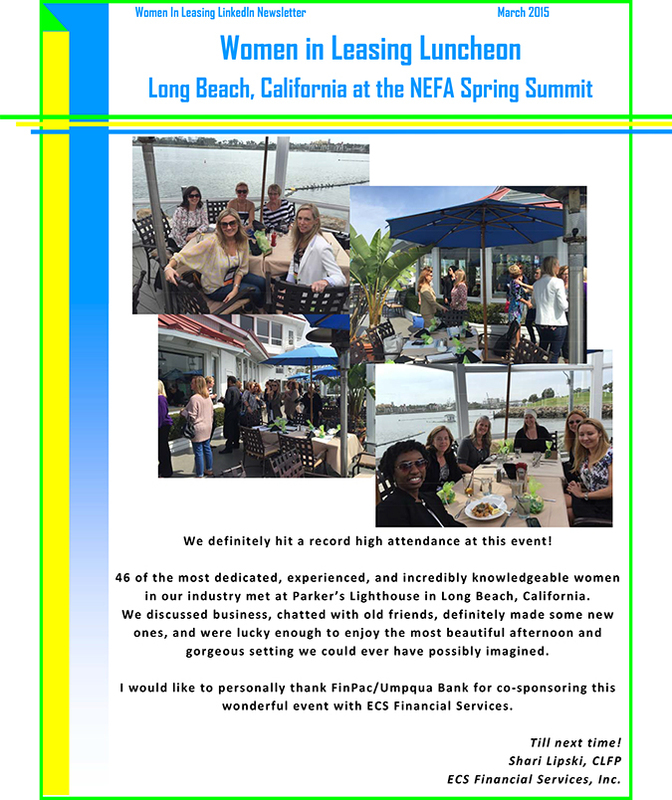 NVLA is pleased to offer exhibit tables for member and non-member companies at affordable rates. Each exhibit table package includes a 3’ x 6’ skirted table, complimentary conference registration, and listing on the NVLA website and conference program. Hope you paid attention when we suggested bringing your swimsuit to the 2015 NAELB Conference. You should also bring hiking boots. Is culture your thing? NAELB Member Rick Wilbur recommends Taliesin West - Frank Lloyd Wright Foundation; the Musical Instrument Museum; and the Heard Museum - which is dedicated to the various native cultures of the Southwest and Central America. If you're more of an outdoors person, Rick says there is plenty of golf; hiking at Camelback Mountain; hot air balloon rides; or Open Jeep Tours. Erin McCarthy suggests you check out the Desert Botanical Gardens, the Phoenix Zoo or the South Mountain Preserve if you like outdoor activities. For those who prefer to stay inside, Erin recommends the Phoenix Art Museum, one of the largest museums in the Southwest with more than 18,000 works on display. If you like good restaurants, Dan Munman suggests Flemings Steakhouse and Z'Tejas, which are near the Arizona Grand Resort; or visit Rustlers Roost, which is right at the Hotel. For thrill seekers, Dan recommends one of the "great kart tracks in America, Octane Raceway in Scottsdale, which gives you the Ultimate Adrenaline Rush!" 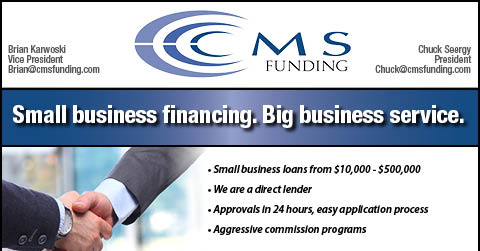 The Public Sector Finance Forum is a joint venture of the Association for Governmental Leasing and Financing and the Equipment Leasing Finance Association. 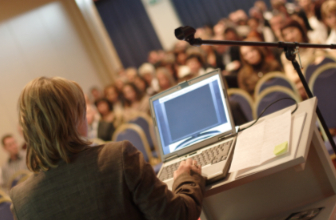 The 2015 Forum will be held at the Sheraton Denver Downtown Hotel in Denver, CO on May 6 through May 8, 2015. Crowne Plaza Beijing Chaoyang U-Town. The China Leasing Summit is based on over 10 years’ of research into the Chinese leasing industry and will provide an effective platform on which attendees can familiarize themselves with the current status of the market and the latest policies and regulations in order to gain a better understanding of China’s leasing market, thereby optimizing their development strategies. Furthermore, speakers from the government, as well as from the leading leasing companies, will share their invaluable experiences and opinions on the state of China’s leasing industry. 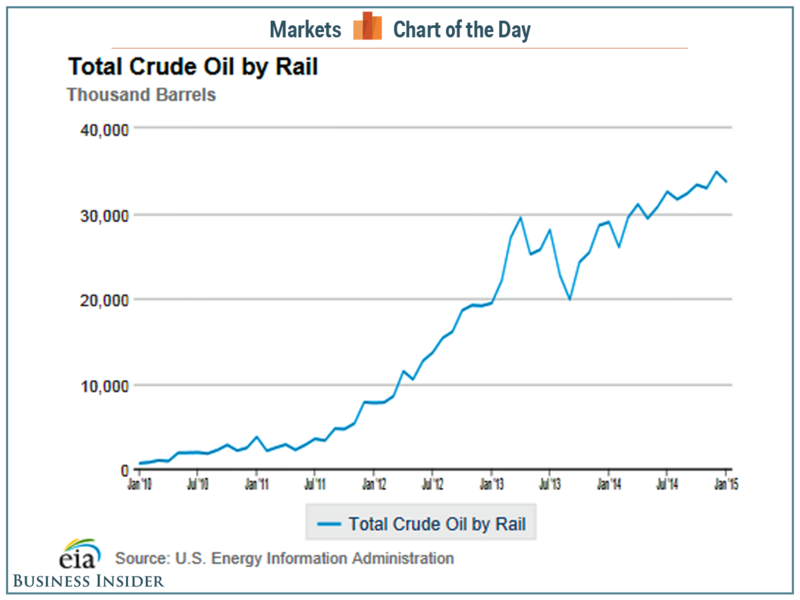 US railroads now carry 33.7 million barrels of oil a month across the country. This is a 50-fold increase in the amount of crude being shipped by rail (CBR) from the 630,000 barrels in January 2010. Previously, most crude produced in the United States was moved by pipeline from Cushing, Oklahoma. The increase in crude by rail is great for the industry — it can get the massive amounts of crude now being produced where it needs to go using infrastructure that already exists. But it has its downsides. The ramp-up of crude-carrying trains has exposed the dangers of crude-carrying train derailments. They existed before, but there wasn't enough being shipped for it to pose a big risk. The problem is that the risks are real, but minute for any one shipment. And the rewards are easy to calculate. Many people were fooled, and others thought it was for real. William Gates buys GE Capital, CIT and the State of New Hampshire for undisclosed dollar amount. To call the new company CITGE. The logo will be a Snauzer with a large dog collar with medal with GE on it. Curt Lynse has been hired to train the dog and run the company. Gates announced he is moving Microsoft to Portland, Oregon, as he likes the climate better than Seattle. He added it was time that companies came to Oregon, rather than left. It is reported that he is negotiating the purchase of the City of Portland. cigar manufacturing company in Costa Rica, moving back to Houston, Texas. He will specialize in ATM machines, tanning booths, and owner-operator trucks. Charlie Lester was hired as sales manager. “I am really looking forward to working with Tom again, “he said. Reaching 64, Mike Fleming takes early retirement from the Equipment Leasing Association. He has moved to Wyoming, where he plans to drive his Hummer freely, tired of being restricted in Virginia and Washington, DC, due to its size. He also plans to take up snowboarding and ball room dancing. 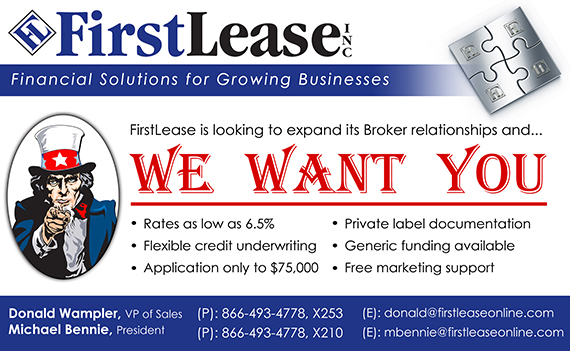 The new organization will be called the United Equipment Leasing Association and Do We Have to Include Brokers. New membership fees have funders at $295, service providers $125, and brokers doing business under $1 million, $1500, and for each million dollar of volume, another $500 yearly dues, until $10 million, when they receive a $1,000 rebate and free registrations at all conferences. Dr. Ray Williams was chosen to replace Fleming. In a very private wedding, Jerry Newell and Britney Spears were married in Fairfax, California. The ex-vice-president of Bank of the West Leasing said they met when his department was considering a lease of new recording studio equipment. 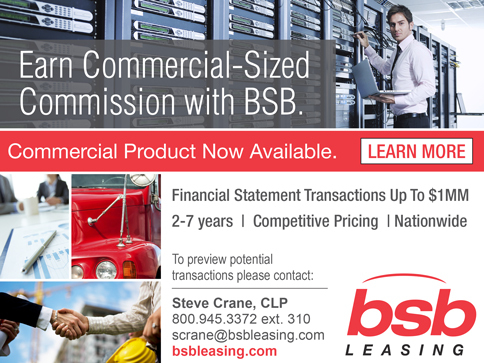 President George W. Bush signed into law the 15% investment tax credit and 50% first year depreciation initiative for lessors “...to stimulate the equipment leasing industry. “ The proposal was headed by CITGE president Curt Lynse who visited the White House often, and along with the combined income and assets of both GE Capital and Microsoft, got the president’s ear. He even got to bring his Snauzer with him, who also stayed overnight in the Woodrow Wilson room. New releases brings bittersweet comedy ("While We're Young") and an acclaimed documentary ("Seymour: An Introduction"), while an Oscar-winning biopic ("The Imitation Game"), a haunting real-life drama ("Wild") and an intense masterpiece ("Cries and Whispers") come to DVD. While We're Young (A24): Generational clashes and artistic struggles are the subjects of the newest bittersweet comedy by Noah Baumbach ("Frances Ha"), who once again displays his gift for balancing humor and bitterness. The story focuses on Josh (Ben Stiller) and Cornelia (Naomi Watts), a married New York couple who find themselves scrambling to ward off the lulls of middle age. They begin to hang out with Jamie (Adam Driver) and Darby (Amanda Seyfried), two disarming twentysomethings who encourage them to get involved in more carefree, youthful activities. When Josh and Jamie begin collaborating on a documentary, however, the lines between friendship and pretense quickly begin to blur. Often resembling a vintage Woody Allen movie, Baumbach's portrait of aging hipsters is an engaging combo of laughter and neuroses. Seymour: An Introduction (Sundance Selects): Fresh off his Oscar-nominated performance in Richard Linkater’s "Boyhood," Ethan Hawke steps behind the camera to direct this acclaimed documentary about an exceptional man. 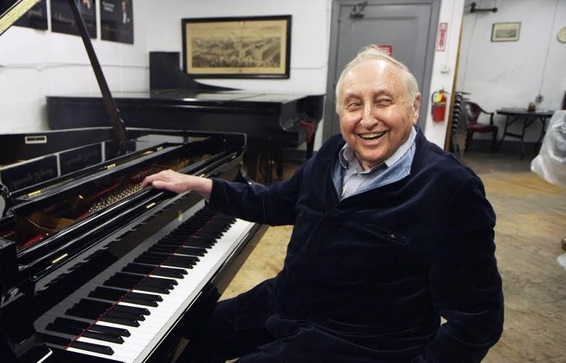 Seymour Bernstein is a virtuoso pianist who has for decades dedicated himself to teaching younger people and enriching their lives with music. Now pushing 90, he reflects back on his various students, on his personal connections, and on the serenity and curiosity that continues to push him onward. Featuring insightful interviews, humorous anecdotes and inspiring musical recitals, Hawke's film is a celebration of a man's remarkable passion that sometimes plays like a gentle, real-life response to last year's harrowing drama "Whiplash." Netflix Tip: Versatile Canadian actress Alberta Watson (1955-2015) was known to both movie and TV audiences, so check out some of this fiercely intelligent performer's best roles. These include "Spanking the Monkey" (1994), "The Sweet Hereafter" (1997) and "Away From Her" (2006), as well as her recurring role in the series "24." The Imitation Game (Anchor Bay): A mix of biopic and spy thriller, this portrait of famous British mathematician Alan Turing won Best Adapted Screenplay at this year's Oscars. 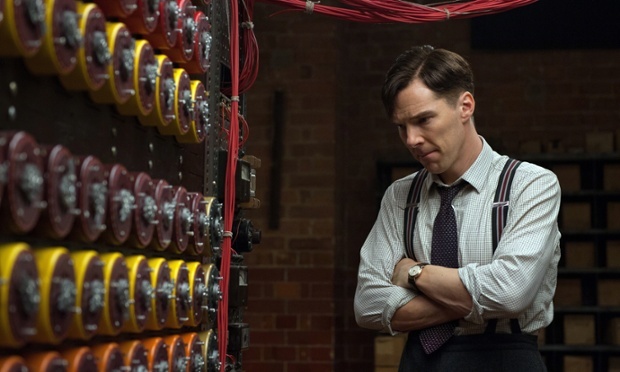 Benedict Cumberbatch gives an acclaimed performance as Turing, whose withdrawn but brilliant mind became invaluable at the height of World War II, when complex German codes needed to be cracked. As part of a top-secret group of young scientists, he uses his skills to try decipher enigmas and change the tide of history. While celebrated by the authorities for his work, he's also persecuted for his private life. Directed by Morten Tyldum and with an impressive supporting cast that includes Keira Knightley and Mark Strong, this is an elegantly mounted character study that shines a light on one of the period's most fascinating figures. Wild (Fox): Just as Matthew McConaughey won an Oscar under Jean-Marc Vallée's direction in last year's "Dallas Buyers Club," Reese Witherspoon received some of her best reviews for the Canadian filmmaker's latest drama, where she delivers her most committed performance in years. 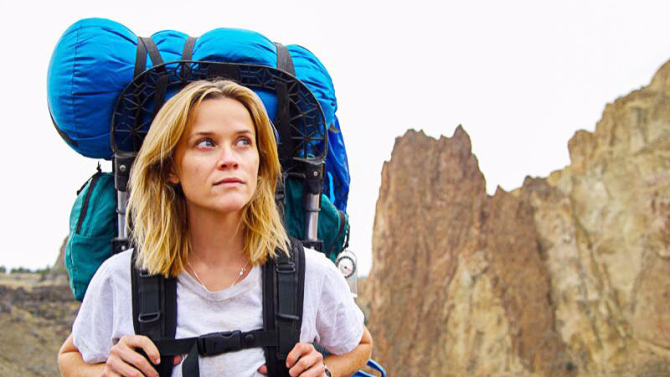 Witherspoon stars as Cheryl, a woman determined to starn a new phase in her life by hiking alone through 1,100 miles of the Pacific Crest Trail. In between her friendly and less-than-friendly encounters, flashbacks reveal the personal backstory of this determined character, including her relationship with her mother (Laura Dern). A plot synopsis may sound uneventful, but the movie transforms her trip through visuals that reflect the heroine's resolve as well as her inner turmoil. Anchored by Witherspoon's brave turn, this is a moving, haunting journey. 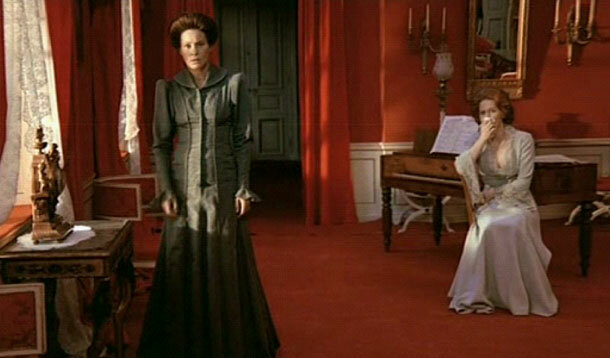 Cries and Whispers (Criterion): Specializing in rigorous and intense dramas, Swedish director Ingmar Bergman created shattering works. This is 1972 masterpiece, being re-released in a pristine digital restoration by Criterion, is no exception. Taking place in an isolated cottage in the late 1800s, the film follows the emotional flares ignited when a family gathers for a severely ailing woman named Agnes (Harriet Andersson). Her sisters Karin (Ingrid Thulin) and Maria (Liv Ullman) come to support her, but, as flashbacks reveal, their own lives are overflowing with turmoil. Can redemption be reached, or will their suppressed feelings keep the siblings apart? Featuring a cast of flawless performances and strikingly expressive, Oscar-winning cinematography, Bergman's profoundly personal film is not easily forgotten. With subtitles. "Hi, my name is GYPSY and I would love to meet you. 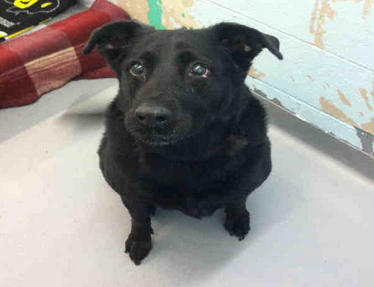 I am a Spayed Female Labrador Retriever mix. The shelter staff thinks I am about 9 years old. I have been at the shelter since Mar 26, 2015." My primary focus is negotiating end of lease terms and options for the equipment lessee, as well as consulting on lease contracts, terms, and conditions before the lease is signed; negotiating end of term. 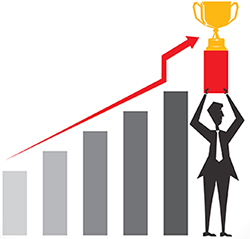 Over 25 years in leasing management positions. Contact: Kimberly Lusk. Huntington Bancshares Finalizes Acquisition of Macquarie Equipment Finance, Inc.